For Sale at Alain Class Motors | Dubai, U.A.E. Can we just state the obvious here and say that this car is just plain beautiful. I can see how some people might say that it’s garish, but supercars are supposed to be gaudy to some degree. This thing – from the design, to the beautiful blue color and carbon fiber accents, to the wheels, to the missing roof, to the big spoiler – it is just perfect. It’s almost unreal, looking more like a made up supercar from a video game than something you’d actually see on the road. But I think that’s the point. The Koenigsegg CCX (and its derivatives) were on sale between 2006 and 2010. The CCXR was the “eco” model of the CCX. Eco is kind of misleading: it can run on E85 or “standard” 98 octane fuel. The engine is a twin-supercharged 4.7-liter V-8 that, when fueled with an ethanol blend, will pump out a ludicrous 1,018 horsepower. Top speed is listed as “in excess of 250 mph” and 60 arrives in just 3.1 seconds. Only a handful of cars ever built can attain this kind of performance. Only 48 CCXs were built of all types. 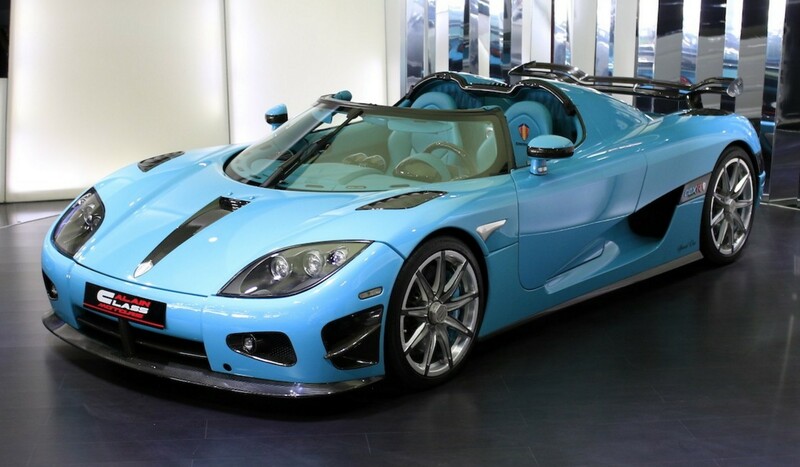 This car is a standard CCXR (not one of the two Special Edition cars) but it is a one off in its features and color and name. There is a roof should you find it necessary to drive it in the rain. It was built for a member of the royal family of Qatar but was road registered in London at one point and is now for sale in Dubai. You’ll need to inquire here for price. 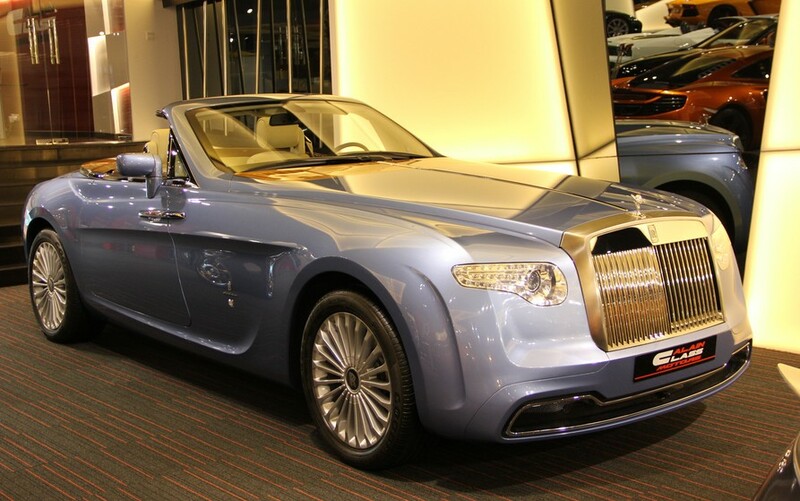 The Rolls-Royce Hyperion was a one-off car designed and built by Pininfarina based around a contemporary Rolls-Royce Phantom Drophead Coupe. It was built for and at the request of Rolls-Royce collector Roland Hall. The car debuted at the 2008 Pebble Beach Concours and Hall decided to sell it the following year. He asked 4.5 million euros. A few years later, this car surfaced in Dubai at the dealer you see here. The asking price had dropped to about 3 million euros. The price today is undisclosed, but probably less than it was a year and a half ago. The mechanicals are all Rolls-Royce. The engine is a 6.75-liter V-12 making 460 horsepower. There are no rear seats (they were removed). The body is a custom carbon fiber job and it actually looks pretty cool – especially from the back. You can buy it or see more pictures here.